Why not try sentiment analysis for your brand? Unless you attentively listen to what your customers want and how they feel, they will kick you out from their social space with a single click. Why not try sentiment analysis for your brand? How Data analytics can help businesses and organizations to generate more incremental revenues? Learn why online customer opinions and reviews are so important for businesses, the impact and the tips to get positive online reviews. Retail Transition; Ecommerce is all about, “get without demanding” so will Brick Stores go extinct??? Ecommerce is all about, “get without demanding”. Ecommerce is flourishing as they fulfill consumers wish without even consumers demanding for it. Does that mean brick and mortar stores will shut down, if they don’t change? How to Listen, Analyze and engage with customers? Retailers are quickly switching to analytics to scale and grab competitive benefits and they are using data visualization and interactive dashboards for performance tracking and improvement. 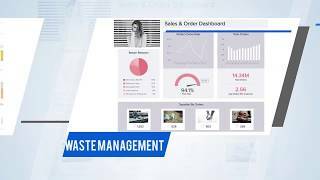 In this video, find 7 types of dashboards retailers are using to resolve their key challenges. Hi-Tech BPO is a division of Hi-Tech, an ISO 9001:2008 certified, privately owned company established in 1992 with 800+ professionals. Recognized by Dun & Bradstreet as a Top BPO Company for four years in a row. 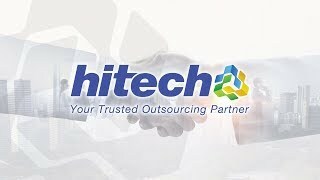 As a leading business process outsourcing company, Hi-Tech offers data entry & capture, data processing, data conversion, graphic design, web research, market research and data analytics solutions across various business industries. Why extract, identify and characterize sentiments? Why identify your popular brand advocates source of criticism? 90% of customers trust review / feedback or rating for making online purchase decisions. Unstructured data, if managed appropriately, helps with new product development (NPD), increased sales leads, meeting compliance requirements, improved Data Governance, analyzing social media channels, and Business Intelligence system integration. Why it is time to move beyond sentiment analysis? Whats The Math behind Virality? How retailers can identify brands, products and consumers trends? Do you use Social Listening to Improve your Brand Health? Why should retail stores outsource invoice processing service? Do nextgen business leaders understand the worth of corporate data and its contribution to organizational success? Do reviews impact customers buying journey? #Socialmedia mentions more than often tell you the ‘what’. So how do you find the ‘why’ and ‘how’? So called data-driven organizations still struggle to manage large data sets a challenge? What is the main objective for social listening? Smart visualizations don’t just display a static image but predict, recommend and suggest images from the raw data set and helps enterprises understand new trends and predict upcoming movements as well. Do You Speak Consumers Language? Social media data can be effectively used to improve sales forecasts. Here is how to use social media for predictive data analytics. How Data Visualization makes Company Data Work for You? How Data Collection is Changing Market Research Industry Landscape?